The meeting of EU leaders in Bratislava (Slovakia) yesterday ended without any agreement on how to proceed with the Paris climate agreement. 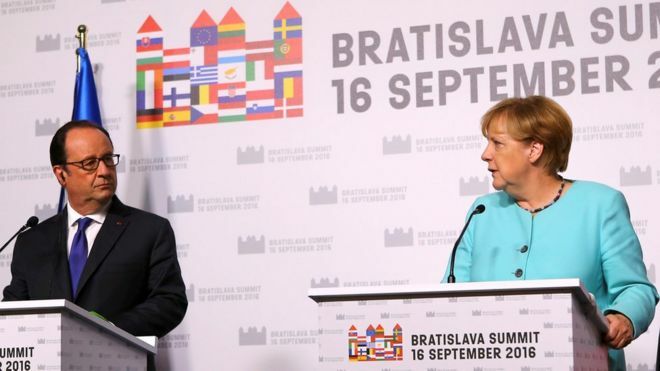 Despite claims by French President Francois Hollande that “all members of the EU are ready to ratify [the Paris deal] as fast as possible,” the Bratislava declaration of the 27 EU leaders ignored to mention the controversial issue altogether. The EU’s inability to agree a joint statement on how to deal with the Paris agreement does not come as a surprise. Poland has made ratification conditional on EU assurances on investments in new coal-fired power plants. “The ratification will be possible provided that Poland’s interests in relation to the European climate policy are secured,” the government said last week, adding that it wanted the Paris agreement to be ratified as soon as possible. The Polish government repeated its position on Friday, saying that it was ready to support ratification at the EU level if it wins unanimous support for its conditions from the bloc’s environment ministers. In other words, as soon as possible sounds like the usual diplomatic lingo for not very soon.